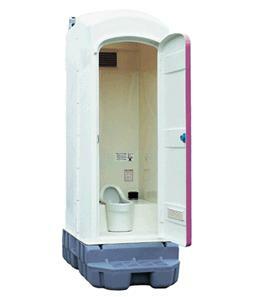 Although it is not flush toilet, so has its own tank, you can shed the excrements. You say because it does not require water and sewer facilities, and are suitable for temporary toilet more, the simplicity of maintenance and cleaning does not change with the flush toilet, you can use it without any problems as a permanent toilet. Especially in the area, the water would freeze in the winter, you have access also serves as a by product of options, easy to clean than toilet water washing of the expression.